Do you offer trade services such as plumbing, HVAC, or electrician? Are you the owner of a construction company? Are you writing a business plan to grow your company? If so, there are five items you should have in your business plan – especially if you are raising funds. Market Opportunity: What’s your position in the marketplace? Are you selling your services business-to-consumer, business-to-business, or business-to-government? Are you subcontracting your services to larger contractors like HITT or Forrestor? Who you choose to service will tell us a lot about your marketing positioning. Remember…you can’t do it all. We all have limited resources. Because we all have a finite amount of money and time to pursue our business interest, selecting a niche market is best. Focus on it. Become really good at making money at that niche. Marketing Plan – How will you get and keep customers? Having your business registered on Yelp, Angie’s List, Google and other directories is imperative. Including pictures on your website and social media is also advantageous. Encouraging customer testimonials on Yelp, Angie’s List, and your social media is another way to market yourself. If you’re selling business-to-business or business-to-government, it’s a business development plan. You’ll need a plan of action including the number of government and large corporate bids you intend to bid on each. You may also include the top companies or government agencies you want to pursue as clients and then have a targeted marketing and networking campaign. In addition, part of your marketing plan could include applying for small business and minority business certifications. When it comes to marketing plans for startups, I encourage entrepreneurs to find 3 or 4 marketing activities that you can do consistently and JUST DO IT, JUST DO IT, DO IT OVER AND OVER AND OVER AGAIN. Even when it gets boring, continue to do the same thing. Usually when it gets boring, it’s working. List your team members. Who is on your team? It’s important to have great tradespeople on your team but you also need a great operations person. You need a great accounting person. And yes, you need a great marketing person. Don’t just list your team members. Include their biographies and tell the reader WHY that person was selected for that position. What previous experience do they have? How long has he or she been in the industry? What’s special about them. The reader wants to know that your business can accomplish its goals. Competition- Based on the types of projects you’re pursuing, what other companies are most likely to bid alongside you? What other companies are usually competing with you? What are their strengths? What are their weaknesses? What are your strengths? What are your weaknesses? Tell the reader who your competition is and why you’re better. It’s best to concentrate on an attribute where you excel and simply focus on that strength. 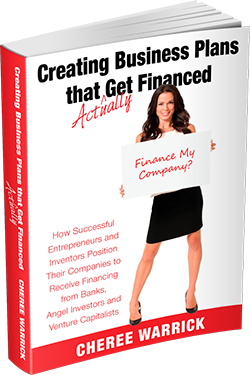 Financials – Within your industry, bankers and investors tend to focus on your gross profit. For example, you know if you charge $400 to do a project and labor materials is $150, then you have $250 left over. That’s your gross profit margin. From that $250, you deduct office rent, gas, and all other business expenses. Although net profit is extremely important, most funding organizations will compare your gross profit margin your competitors in order to ensure you are going to make enough money. Investor Repayment Plan – If you are borrowing money from an investor to start growing your business, how does he get his money back? Will it be a loan repayment or profit sharing? Will he receive equity in the company? There are many ways you can set up this investor repayment plan. Ultimately, you and your investor must agree on the terms. If you need assistance writing your business plan, please feel free to reach out to us at wewritebusinessplans.com. Have a blessed day!